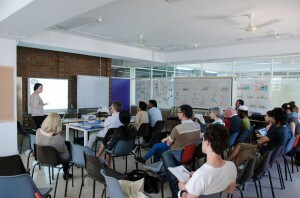 A 5 students present their final projects to the jury and visitors from L’Ecole de Design, Nantes Atlantique and parents and sibblings from France. Though the results will only be published next week, it was obvious that the students showed evidence of engaged work. 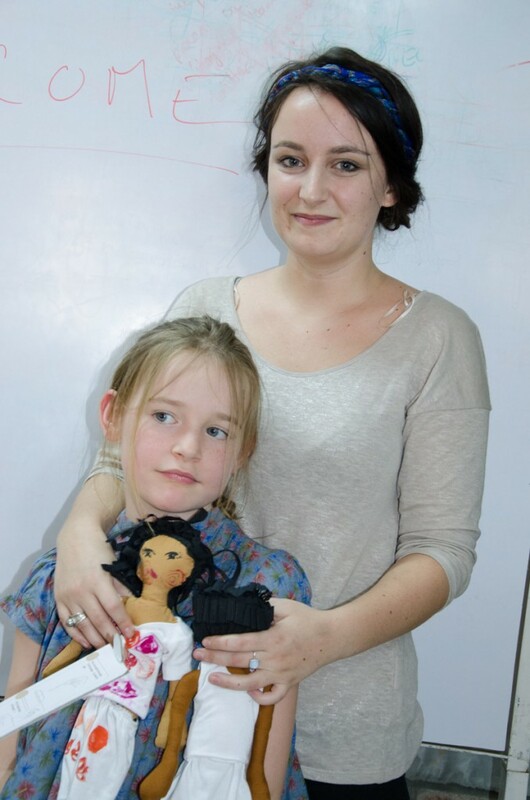 Families came from France to support their daughters and experience a holiday in India. 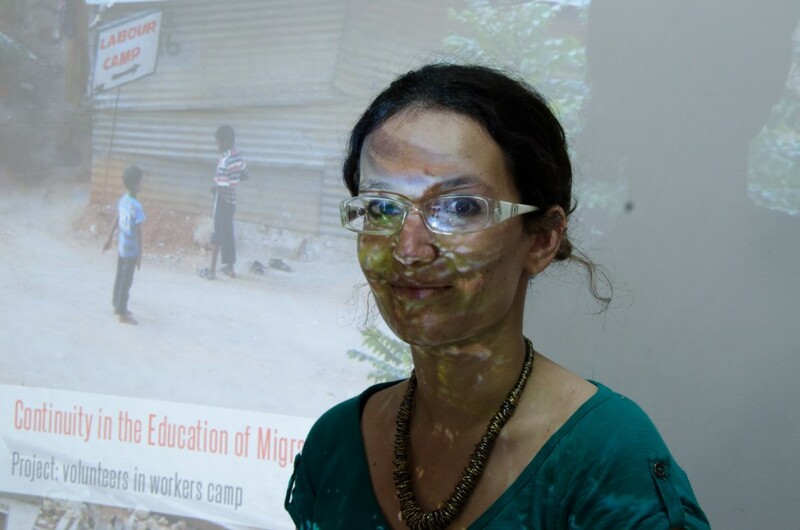 Juliane Denogent has designed a cellphone app to better the “Communication and Integration Problems of Migrant Workers in Bangalore”. 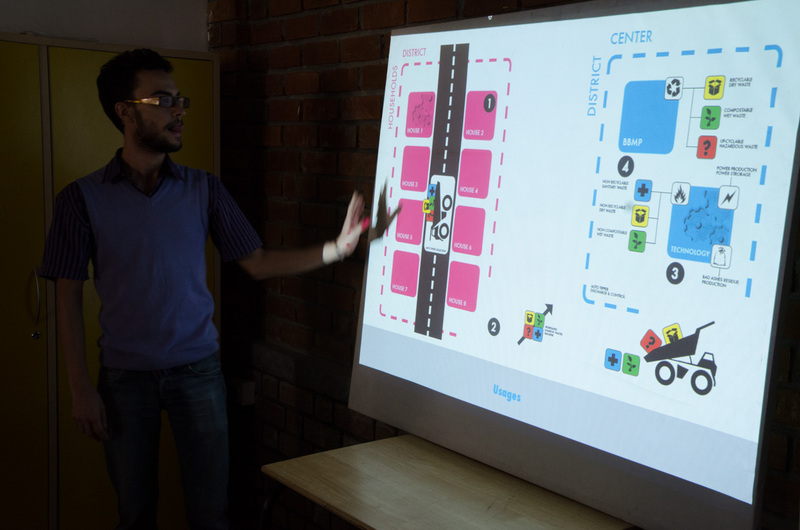 Gauthier Raguin is showing his work on “Waste Management in Bangalore”. He has designed a waste burner for households. Manon Foucrault’s work is about “Beauty in the Indian Context” and she has designed a set of dolls with different skin colors and a retail space. 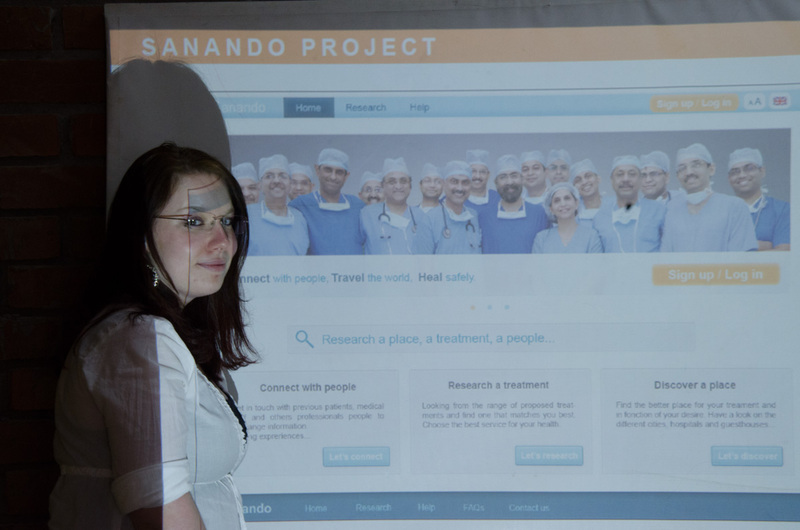 Claire Auger has designed a social website to provide a better experience for medical tourists in India. Charlotte Secheresse designed a mobile tent, as a non-permanent school for Migrant Worker’s Children in Bangalore to provide a continuity in their education.